The Nvidia GTX 1080 is one of the top GPUs currently available and can be yours for less than £470, well under its £529 MSRP at Amazon UK. This marks the first time in what seems like an age that Nvidia graphics cards have returned to somewhat affordable prices. There’s always another component to buy – here are the best gaming monitors around. Unfortunately, the price drop hasn’t quite jumped over the pond yet and US pricing is still higher than the asking price of $549 from Nvidia’s own store, though they’re regularly out of stock. As they are now. 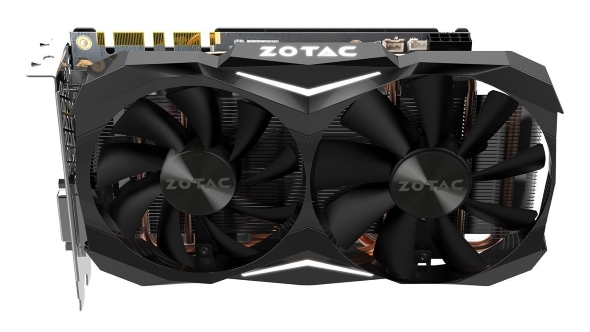 However, for us Albion-nites the little Zotac GTX 1080 Mini is available for pre-order at £470 , and that’s shipping in seven days. But if you can’t wait there are a host of other GTX 1080 cards you can buy right now for under £500. There’s the Gigabyte GTX 1080 Turbo OC. the MSI GTX 1080 Armor OC, and theInno3D GTX 1080 Herculez Twin X2, and all three are comfortably under the £529 asking priceNvidia demand in order to part with some of their precious Pascal graphics silicon. We reported last week that graphics card prices were due to drop thanks to GPU shipments falling by 40% (potentially due to crypto market decline, the rise of ASICs, and Ethereum model changes) but it seems retailers are starting to feel the pressure from the market drop and have started reduced prices accordingly already. It hasn’t quite stretched to the AMD side of the graphics divide yet, though Radeon GPU prices are starting to fall. The RX 570 has escaped the clutches of the miners and is now available for £254, but it needs to be under £200 to really grab our interest. Especially when the GTX 1060 is now slipping under its £279 MSRP too, with the Palit GTX 1060 StormX 6GB version available for £270. So is this really the end of inflated graphics card pricing? Maybe… but, it’s still a little too early to tell. What is important right now, however, is that PC builders can finally pick up the ideal graphics card for their rig without visiting a loan shark. Quick, grab a graphics card before the next big crypto comes around.